These buttery shortbread cookies are crunchy yet melt in your mouth good. 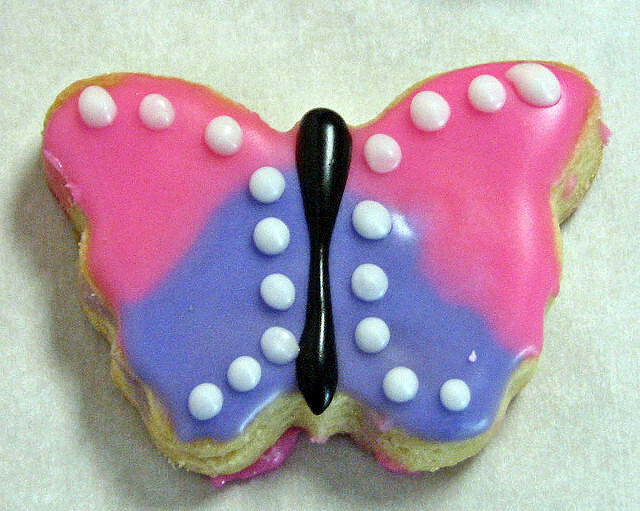 They are a great base for frosted cookies or for dipping and decorating with tempered chocolate. They are delicious topped with crystallized colored sugar as well. Make sure butter is at room temperature at 70 to 75 degrees. Cream butter, vanilla and sugar. Blend in flour. Form into a ball. Dust rolling surface with flour and roll dough out to 1/2-inch in thickness. Cut out cookies with cookie cutters. Bake for 20-25 minutes or until bottom of cookies are golden in color. Allow cookies to cool. 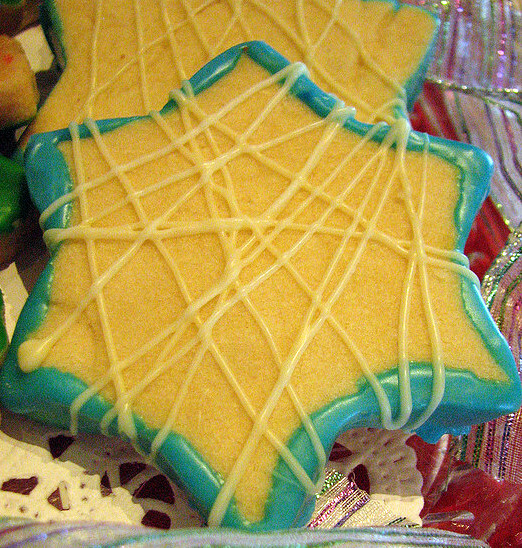 They are good all on their own or frost cookies with colored frosting, dip or drizzle with melted chocolate. Mix well and start frosting with fun colors. Allow first layer to dry before adding decorative touches. Temper chocolate and butter over a double boiler just until melted. Stir constantly. Don’t let the top of the double boiler get too hot to the touch or your chocolate will get too hot and will be hazy once it cools. Be sure not to get any water in the chocolate or it will seize. This entry was posted in Cookies, Vegetarian and tagged butter sugar flour, chocolate, cookies, crunch, cut out cookies, dessert, favorite cookies, festive cookies, frosted cookies, holiday cookies, isimmer, isimmer.com, kids, shortbread, sweets, vegetarian. Bookmark the permalink.